Throughout time, people have had reasons to keep information secret and secure. Centuries ago when information had to be trusted to messengers traveling by foot or on horseback, the security of the information was a high priority. To prevent the details from falling into the wrong hands, armies and kingdoms turned to ciphers and other types of manual encryption, where certain letters of the alphabet were substituted in complex ways, requiring a cipher key to decode it. That way, if an enemy managed to obtain the message, it would only appear as garbled text or an innocent note to them. Cryptography is the study of these coding and deciphering techniques. During the 20th century, World War II created an even greater need for encrypted messages, and accordingly various devices and methods were created. Today, massive amounts of highly sensitive data are transferred, viewed and submitted online. On a daily basis, personal details, private company information and even government intelligence are all passed around online. What happens if an unauthorized person or a hacker intercepts this information? There are many cases where hackers have been able to break into unsecured systems to steal data to sell or use, and the impact can include identity theft, publicly revealing a business’ trade secrets, or unveil a government’s plans to another country. With the advances and increasing ingenuity of hackers in today’s world, the dangers are always increasing- most recently with realization that hackers can commandeer a plane through free passenger wi-fi. But where did it all start? Highly trained, experienced teams put their minds together to create Colossus, the very first digital and electronic computer device. At the time it was used to decipher encrypted transmissions from the Germans. During the 1970s, interest in digital encryption increased with the birth of major computer companies. While first generation cryptography was largely based on language, today’s digital encryption tends to primarily use numbers. The original piece of text is put through a complex series of algorithms and mathematical procedures to convert it into a long string of seemingly random numbers that can only be decoded with the correct key or password. 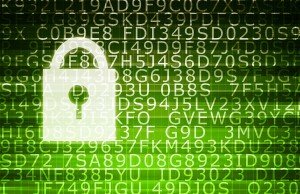 In the past decade, digital encryption has progressed mainly due to the boom in Internet and computer usage worldwide. Even so, hackers and others who carry out brute force attacks on secure systems spurred a further boost in the progress of digital encryption. Today, companies have to use encryption technology to protect their customers, employees, and their business. Every transaction or submission you make online has some sort of encryption added to it to ensure your privacy, from email passwords to ATM cards, e-commerce stores, and much more. Companies also use encryption on external hard drives in case they get misplaced or stolen. One of the newer methods of encryption is known as biometric encryption. Instead of relying on letters and numbers for coding, it uses unique features of a person’s body that cannot normally be duplicated. Common examples include voice recognition, retina scans, fingerprints, and even facial structure. Although it sounds quite futuristic, there are already several laptops in the market that allow the owner to scan a finger in order to log in, as well as other systems that require eye scans or voice samples to gain access to a system. Biometric encryption has been hailed as an excellent alternative to numeric encryption since it ensures that the key (or body parts in this case) cannot be duplicated or stolen. 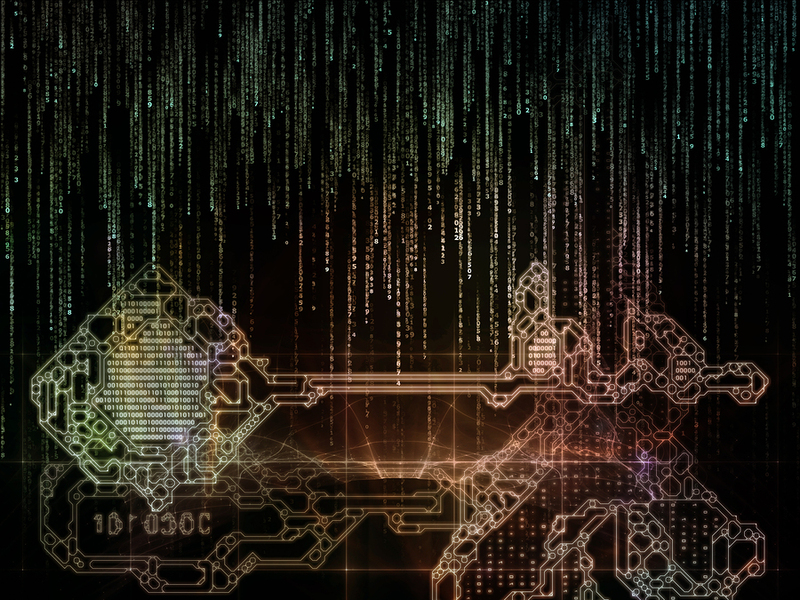 Explore the following digital encryption resources to learn more about how it works, where it is used, and how it is implemented. You could have the most sophisticated encryption possible that could be easily compromised by a weak password or easy-to-access portal. Having a strong password for every critical digital or online account is paramount to ensure that your secured data stays that way. 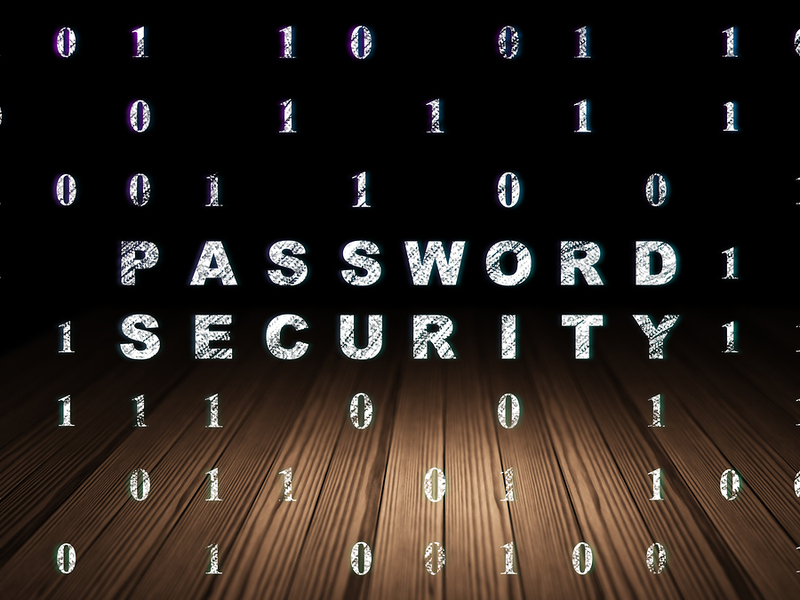 So what’s the best way to ensure that your password is secure? Not sure where to start? Use a secure password generator. The more critical the information you’re trying to protect, the more complex your password should be. It’s also important to change passwords on your drive on a regular basis- the time frame is really up to you, but the baseline is about every 6 weeks. Encryption and strong password protection can help prevent data breaches, but if someone really wants that data, there’s a good chance they’ll get it. Keep an eye out for suspicious activity, and be sure to upgrade to the newest technology to ensure your digital footprint is secure. Protecting your data is just one of the things that you should do to protect your business. Many businesses rely on their data to help keep them ahead of the competition. Whether your data is the latest software designs or sales contact information, it’s important to keep it safe. Take the proper steps to protect the data that keeps your business operating from day to day. A good backup system will include offsite storage to protect from fire and other disasters. It should also include a redundant system so that you can access the information that you have lost, or that is stolen. You should also work to protect your customers’ information, and your business data through a strong encryption system. The more sensitive your data, the stronger the system will need to be. 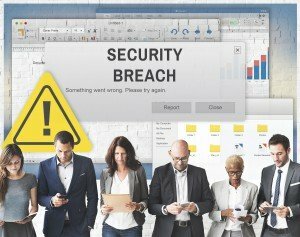 Your reputation as a reliable and secure company can be ruined after a data breach, and protecting your external hard drive is just one way that you can prevent that from happening.